The Cherokee District of the Northeast Georgia Council serves nine counties: Clarke, Elbert, Franklin, Greene, Hart, Madison, Morgan, Oconee and Oglethorpe. We serve approximately 100 units (Cub Scout Packs, Boy Scout Troops, Venture Crews and Explorer Posts). Through these units we provide program to more than 3,000 young people involving more than 600 adult volunteers. 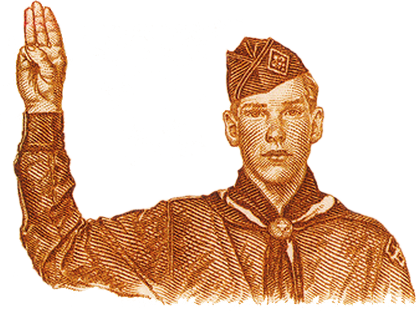 Scout Oath: On my honor I will do my best to do my duty to God and my country and to obey the Scout Law; to help other people at all times; to keep myself physically strong, mentally awake and morally straight. Scout Law: A Scout is Trustworthy, Loyal, Helpful, Friendly, Courteous, Kind, Obedient, Cheerful, Thrifty, Brave, Clean and Reverent. If you have any questions or would like to join a local scouting unit please feel free to contact us by calling the Northeast Georgia Council office at 706-693-2446. Please be sure to tell the receptionist which county you live in so that your call can be forwarded to the right extension at the Scout office. Sign up for our District Mailing List in order to stay informed of Council and District news through Email updates. CLICK THIS LINK and complete the form in order to submit your email for subscription to the CHEROKEE DISTRICT MAILING LIST. The Cherokee District Committee meeting is at 6:30 pm at St. Stephen's Anglican Catholic Church, Athens GA.